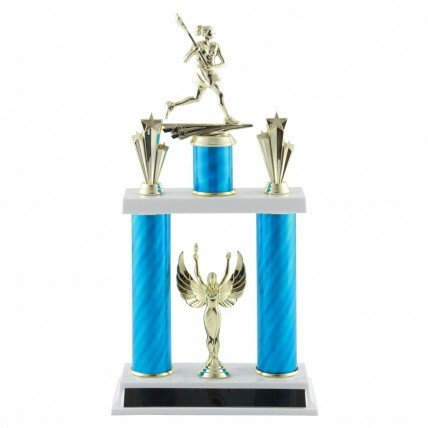 Our Female Lacrosse Tournament Trophy – 16” features swirling columns in your choice of color. 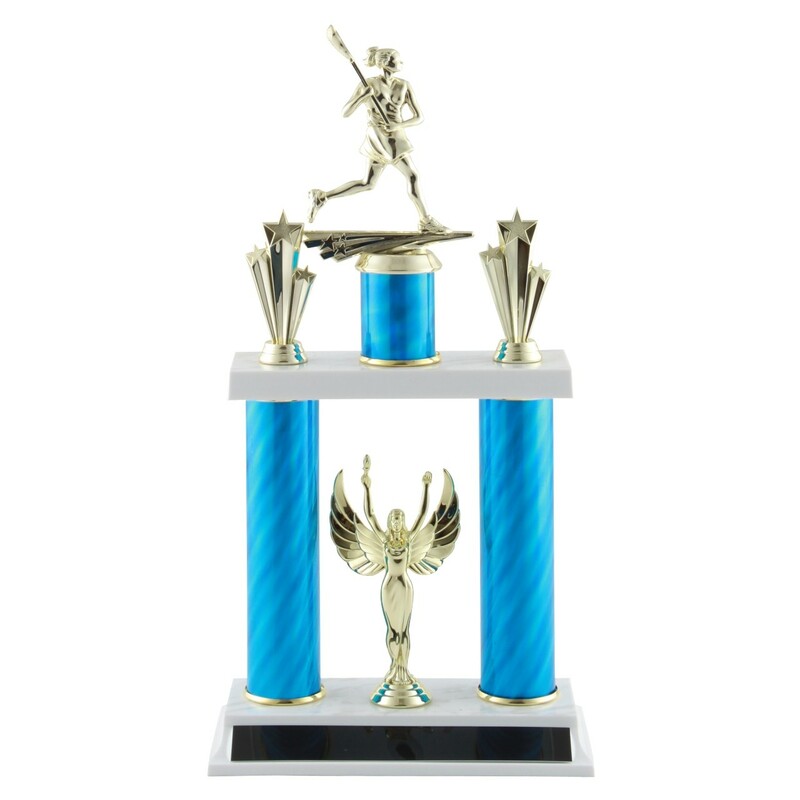 A 5 inch girl lacrosse player in action tops this winning trophy, with golden stars trim and a golden winged victory figure on the base. At 16 inches tall, it’s a great tournament trophy choice for any lacrosse champ!